BEST FIGHTER FOR CANADA: F-35: The Future or a Flop? The Lockheed Martin F-35 Lightning II may be the most controversial aircraft in history. Some say that it will be far superior to anything else in the sky. Others call it a "white elephant" that cannot even match the aircraft it is meant to replace. What we do know for sure is that F-35 development is several years behind schedule. We also know that the JSF is nowhere near being a "low-cost" option. We will immediately launch an open and transparent competition to replace the CF-18 fighter aircraft. The primary mission of our fighter aircraft should remain the defence of North America, not stealth first-strike capability. 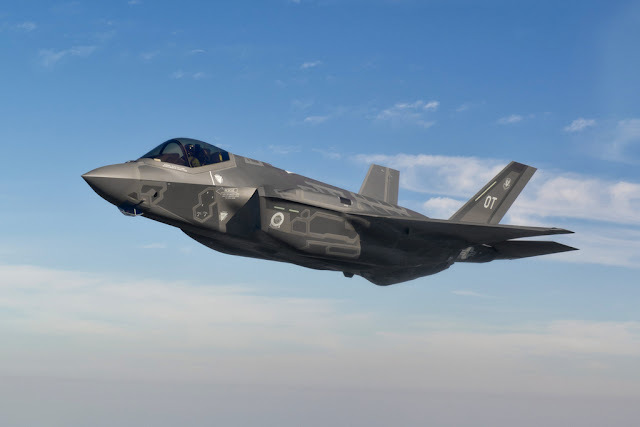 Since becoming elected, the Liberal government has softened their approach somewhat, not specifically ruling the F-35 out, but rather promising to take a closer look at all of the available options. While the possibility of a CF-35 is down, it certainly is not out. The Joint Strike Fighter program is an amalgamation of several fighter replacement programs. This included CALF (common affordable lightweight fighter) and JAST (joint advanced strike technology). Altogether, these programs were responsible with replacing the F-16 Fighting Falcon, F/A-18 Hornet, A-10 Thunderbolt II, and AV-8 Harrier. Instead of designing, testing and manufacturing three or more distinct aircraft; a single type would be developed with variants that cater to each service's needs. Theoretically, replacing all of these platforms with a single airframe would result in simplified development and reduced costs thanks to economies of scale. Unfortunately, that was not to be the case. Like the TFX program before it, the JSF program soon ran into issues. Conflicting requirements between the USAF, USN, and USMC meant that each of the F-35's variants become less and less alike. While they appear similar, the three variants only share about 20-25% parts commonality. On top of this, the JSF program fell victim to the usual trap of continuously adding new, untested, and expensive technologies. This term is often referred to as "gold plating". Perhaps the biggest regret of the JSF program has been the practice of concurrency. Under this model, production occurs simultaneously with testing. This has the benefit of speeding up the acquisition process but entails a significant risk if major problems are found. Despite promises that advanced computer modeling would curtail this, the F-35 has become a glaring example of why concurrency is a bad idea. Thankfully, after years of delays, "rebaselining" and blown budgets, the F-35 Lightning II is finally showing signs of real progress. 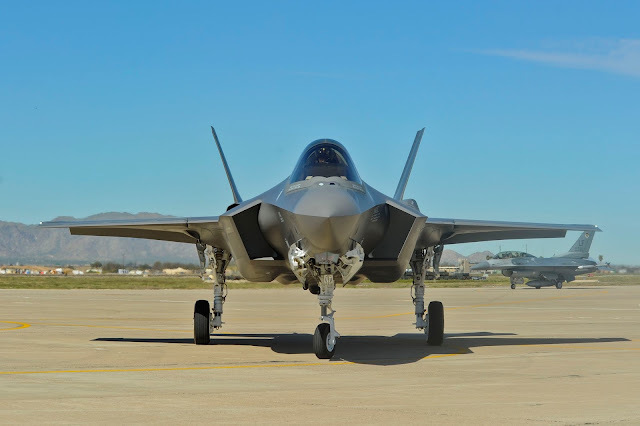 Both the USMC and USAF have declared the F-35 to be at initial operational capability (IOC). This is still a far cry from full operational capability (FOC), however. The F-35 has come a long way... Yet still has a ways to go. The F-35 is currently billed as "the only 5th generation fighter on the market". While this sounds impressive, there is no real definition of what a "5th generation fighter" actually is. The prototypical 5th generation fighter, the F-22 Raptor, was heralded as such thanks to its stealthy design, advanced AESA radar, ability to fly at supersonic speeds without afterburner (supercruise), and enhanced agility thanks to thrust-vectoring (supermaneuverability). The F-35, while stealthy, lacks the F-22's supercruise and supermaneuverability. 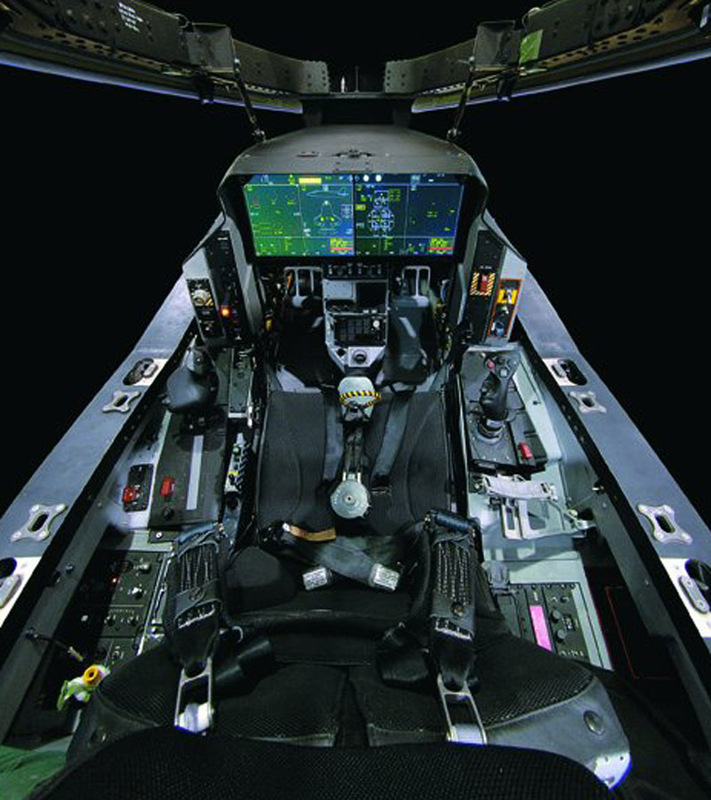 Where the F-35 shines is its sensor suite. A powerful AN/APG-81 AESA radar supplemented by an AN/AAQ-37 distributed aperture system (DAS) and an electro-optical targeting system (EOTS) give the F-35 exceptional situational awareness. Better still, the F-35 promises to present all this data to the pilot in a simple, cohesive way known as "sensor fusion". Advanced data-links allow the JSF to share data with other units as well. A high-tech cockpit eschews the traditional heads-up display (HUD) and multifunction displays (MFDs) in favor of an advanced helmet mounted display (HMD) and a 20"x 8" touchscreen. For years, almost every combat aircraft could boast that it was faster and more maneuverable than the aircraft that preceded it. With the F-35, this is no longer the case. When comparing the F-35 to "fourth generation" jet fighters, it comes across as underwhelming in terms of top speed and agility. The Lightning II simply lacks the thrust-to-weight ratio and impressive wing-loading numbers of older designs like the Eurofighter Typhoon and F-16. While it does have the most powerful engine ever put in a fighter aircraft, that Pratt & Whitney F135 still has to push an aircraft that is rather heavy and bulky thanks to its multipurpose stealth design. Make no mistake, however. The F-35 is still a supersonic jet fighter capable of reaching speeds of mach 1.6 and performing 9g turns. Since it carries up to four weapons internally, it can carry two AMRAAMs and two JDAMs without any drag penalty. The F-35A also boasts of an impressive 2,220km range on internal fuel. This is thanks to a fuel cell occupying the section of the fuselage reserved for the F-35B's lift fan. Unfortunately, longer distances require aerial refueling as the F-35 is not yet capable of mounting external tanks (maybe one day, but nothing soon). The F-35's current weapon selection. Considering how much of the F-35 is new, different, and groundbreaking; its weapon selection is downright pedestrian. No high energy laser weapons or photon torpedoes, just the ubiquitous AIM-120 AMRAAMs and JDAAMs that already see use on fighters like the F-16, F/A-18, and F-15. 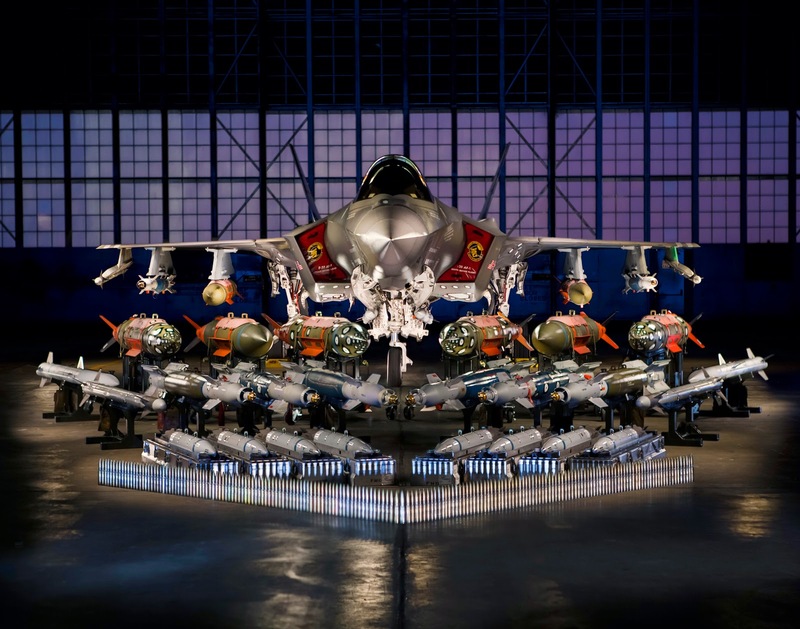 What makes the F-35 different is its internal weapon carriage. In order to maintain its stealthy profile, the JSF utilizes four hardpoints located in two internal weapons bays. Each of these weapon bays have just enough room for a single AMRAAM and one 2000lb JDAM. If the F-35 operator chooses to mount more weapons, larger weapons, or weapons not compatible with internal storage (like current IR guided A2A missiles) need to utilize external pylons which disturb the F-35's stealthy profile. When things get up-close and personal, the F-35A mounts an internal 25mm GAU-22/A four-barrel gatling cannon. F-35B and F-35Cs will have the option of mounting the GAU-22/A in an external pod. These cannons are not currently operational, however, requiring a software update that is still in development. The F-35 is the subject of much controversy. Some claim it is the future of aerial warfare, while other declare it an epic failure and a boondoggle. The reality likely exists somewhere in the middle, but history will be the final judge, not us. 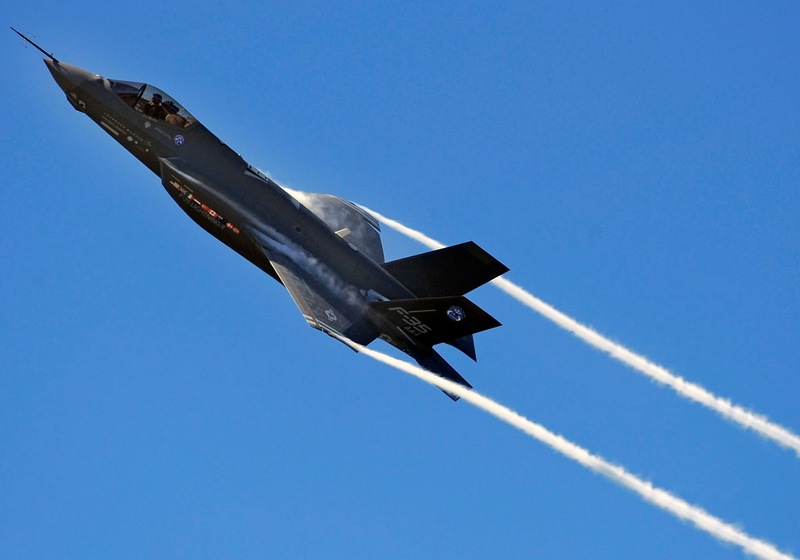 Deciding whether or not the F-35 is fundamentally flawed may be too difficult to answer. Instead, we should focus on whether it is right for Canada. What makes the F-35 an attractive choice is the fact that many of our allies (NATO and otherwise) have already committed to the aircraft. This has the advantage of promoting "interoperability". It also, in theory, reduces costs thanks to economies of scale. The F-35 is also the only "fifth generation" fighter available for sale at the moment, given it the full benefit of stealth. There is also the promise of lucrative economic benefits attached to the F-35. Instead of traditional purchase agreements, which promise "offsets" to woo buyers, the JSF program offers slices of a much larger pie. Indeed, despite investigating other options, Canada remains a "Level Two Partner" in the F-35 Industrial Program. This allows Canadian firm to bid on JSF-related contracts. Unlike traditional offset deals, however, there is no guarantee on how much work will be rewarded to Canadian firms. Maybe Canadians will come out ahead... Maybe not. There would also be significant challenges integrating the F-35A into the current RCAF infrastructure. Stealth fighters are notorious for their delicate coating that requires extra maintenance, climate-controlled hangars, and even specially-painted fuel trucks. The F-35A is incompatible with the RCAF's aerial refueling assets (the CC-150 Polaris and CC-130 Hercules). There is also some question if the JSF would be able to operate from some of Canada's Forward Operating Locations (FOLs). While these challenges all have potential solutions, they do add risk and uncertainty to an aircraft that already has plenty. There is also the fundamental question of whether or not Canada even needs a stealth fighter. The F-35 was designed as a "first day of war" strike fighter. Interception and air-superiority missions were not a priority. Most F-35 operators will operate the F-35 alongside fighters more dedicated to those particular role, like the F-22, F-15, or Typhoon. Possibly the biggest unanswered question about the F-35 is its price. Indeed, it was the costs associated with the F-35 that made the Canadian government hit the "reset button" on its intended purchase four years ago. While there has been much fanfare over the JSF's recent trend towards lower costs, it is still very much an expensive aircraft. Even if the unit cost drops to more affordable levels, the operating costs remain astronomical. 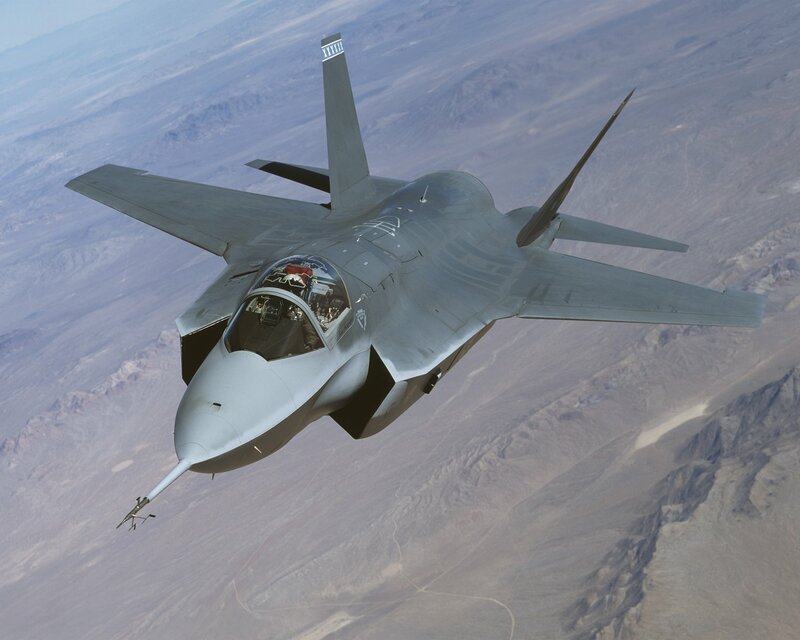 Despite being intended to replace them, the F-35 costs more than twice as much to operate than the F/A-18 Hornet and more than triple that of the F-16. Indeed, even F-15 is affordable by comparison. 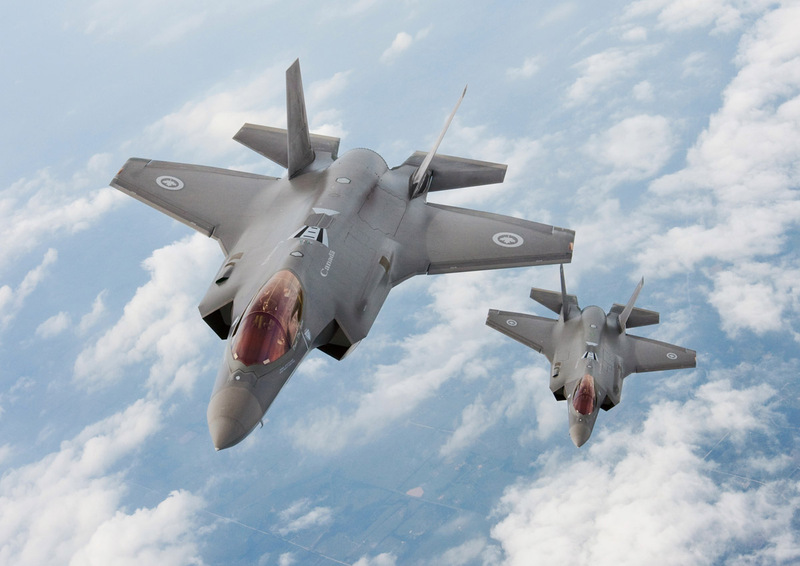 Five years ago, the F-35 was considered the de facto replacement for Canada's CF-18s. One year ago, it still seemed likely, despite the fighter "reset" implemented by the Harper government. Things took a sharp turn, however, when the then-candidate Justin Trudeau announced that a Liberal government would not buy the F-35 Lightning II. After winning the election, the Liberals have maintained a "will they or won't they" approach to the JSF. At one point, it was rumored the Liberal government would sole-source "interim" Super Hornets, yet Canada still pays to be be part of the JSF program. On one hand, the F-35 still has a lot of friends in high places. There will undoubtedly be a lot of political pressure (both domestic and foreign) to "stay the course" with the F-35. This would contradict an election promise, however. It also ties the government to an unpopular and risky problem. At this point, the F-35 could be tied with the Super Hornet as the most likely candidate to replace the CF-18. Its future with the RCAF could very well hinge on the next bit of major news (good or bad) emanating from the program. Canada could very well be the first nation to eschew the F-35 in favor of something else.